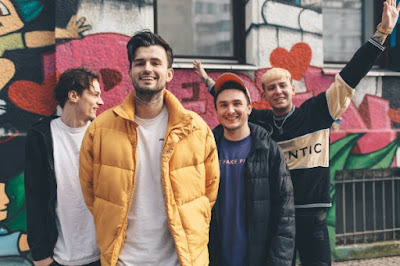 Rising Edinburgh pop punks Woes have dropped a new video for "Over It", the final single from their latest "Self Help" EP, which was released on UNFD in May. Vocalist DJ explains “'Over It' was one of the first songs we wrote for 'Self Help', and it was the first song we wrote where we made a conscious effort to try and write something that didn’t sound like a traditional pop punk song. We’ve always been into heavy music and we wanted to write something heavy, that still sounded like us. Ironically, the lyrics in this song are probably the most optimistic we’ve ever written, in spite of it sounding way more aggressive musically. It’s about identifying negative traits or aspects of your personality, that don’t benefit you in any way, and getting rid of them. For me, I spent a lot of my youth not doing things because I was afraid I would fail at them, and a lot of the lyrics focus around that, and how I’ve tried to push those feelings out of my life the last few years”.